This is the 11" (shorter) Custom Jack Cover and will allow you to use more of the holes in the jack bar for mounting. This is the 11" (shorter) Custom Jack Cover and will allow you to use more of the holes in the jack bar for mounting. For more information on selecting the best size cover for your jack's mounting configuration click here to see available options. If you have any questions about which size cover you need, ordering made-to-order covers, or having a custom cover made please contact us. 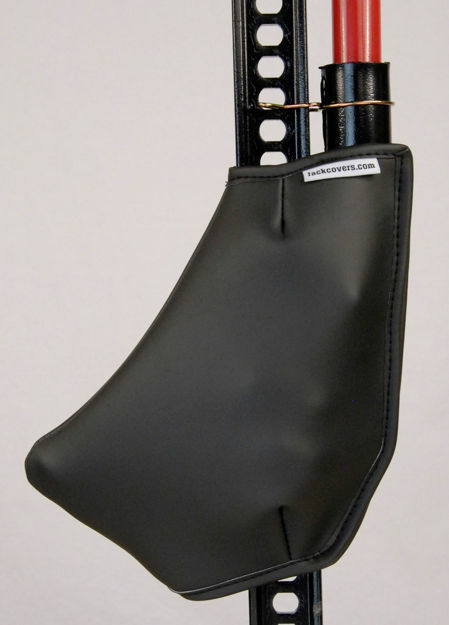 This cover has a grommet in the nose for proper draining when mounted with the nose facing down. Keep in mind, your screen might not be calibrated to show actual color. NOTE: All covers ship with BLACK trim and a drainage grommet. As a way of doing more for the world we live in, RedDirtOffroad.com contributes 10% of all proceeds of Jackcovers.com sales to cancer research.